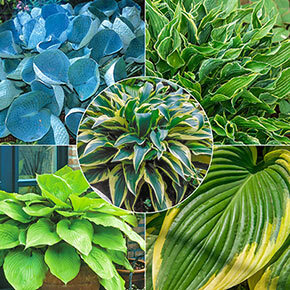 Winter Care: None, except to mulch for the first winter. 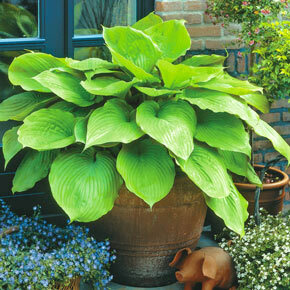 Remove promptly in early spring. Flower Form: Bell-shaped flowers on scapes. 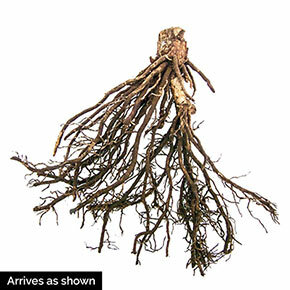 Soil Requirement: Tolerant of a wide range of soils, but best if evenly moist and well-drained. 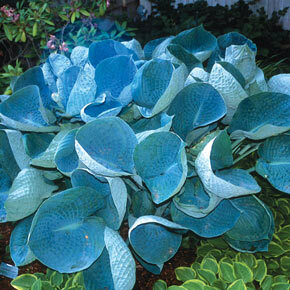 Foliage Type: Large, deep blue-green leaves, heavily corrugated and thick. 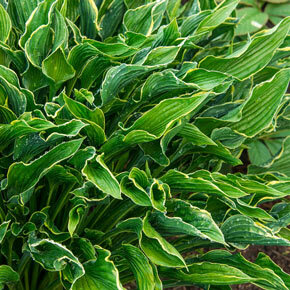 Foliage Type: Dark green, rippled with narrow, gold margins. Upright, narrow leaves resemble hands folded in prayer. Leaves have a matte finish but shiny undersides are revealed when leaves are folded. 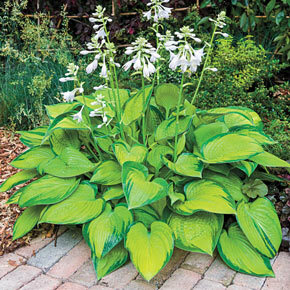 Flower Form: Light lavender blooms appear on long sideways araching scapes. 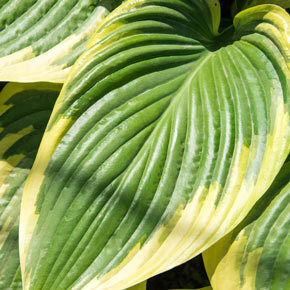 Foliage Type: Large shiny green leaves with yellow margins that lighten to pale yellow.